All Season All Wheel Drive!! Great Reliability and Fuel Economy!! Back-Up Camera System & Navigation!! 7-Passenger Seating!! Clean CARFAX Report with BUYBACK GUARANTEE!! 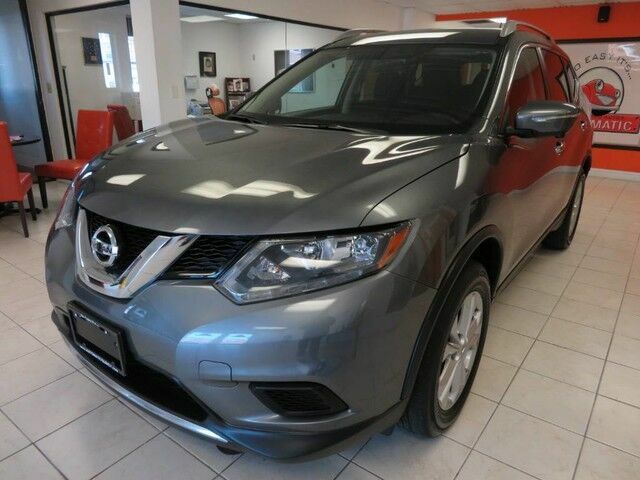 2015 Nissan Rogue SV Sport Utility AWD, 2.5L I4, Gray with Gray Interior, features Touch Screen Sound System, AM/FM CD/Mp3 with Aux and Bluetooth, Dual Climate Control, Push Button Start, Heated Front Seats, Power Locks, Windows, Heated Mirrors, Cruise Control, TCS/VDC Traction Control, Folding Rear Seats, Power Tailgate, Keyless Entry, and Alloy Wheels. Just Serviced, Automatic Certified!